The Learning Resource Centre, which is situated centrally in the school, is busy, well used and active. The environment is light and airy and the atmosphere is welcoming. The LRC has a dedicated and experienced Librarian and is open between 8am and 4.00pm including break and some lunch times. It is available to all students to encourage reading for pleasure and to support independent learning. We have over 9,000 books and magazines. There is also a reference and staff collection. There is a fully networked ICT suite housing 16 computers with internet access. Printing facilities for coursework etc are also available. Stationery is available for students to purchase in the Library at a minimal price. We work closely with the English Department to support Year 7 and 8 Accelerated Reader lessons in the Library. As well as timetabled lessons, students visit individually or in small groups from lessons as necessary. 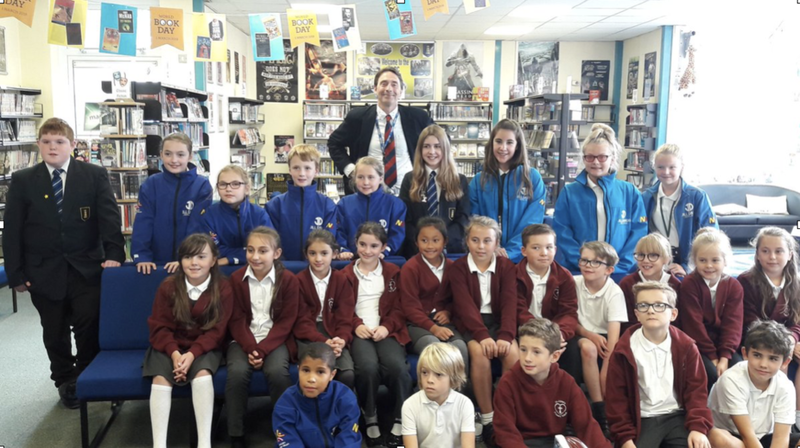 Various literacy events take place, such as Book Swops, shadowing groups, World Book Day celebrations and our Celebration of Reading at the end of the year. Careers is also situated in the library and students can drop in and see our experienced careers advisor when they need careers support. From time to time students will come during lesson time to work in the LRC on a specific task or read, with permission from their teacher. Food, drink and chewing gum must not be consumed. No mobile phones are to be used in the Library during the school day.